Home Women Cricketers T20 IPL 2019 Women’s T20 exhibition games during IPL 2019. Women’s T20 exhibition games during IPL 2019. BCCI are going to continue the exercise of conducting T20 exhibition matches involving top India and international women’s cricketers during the upcoming IPL 2019. During last year’s IPL, BCCI had organised a one-off Women’s T20 Challenge game at the Wankhede Stadium, with the board stepping up the effort with set of matches this time around. As per a report on the planning has been underway for a few months now. But the odds of running a full fledged women’s T20 league competition in India – like the eight-team Women’s Big Bash League (WBBL) in Australia or the six-team Kia Super League in the UK – isn’t a possibility given the concerns of over the depth of India’s domestic pool of players. The report goes on to state that once again there might be two teams in the women’s games with a best-of-three series through the course of the IPL. In keeping with the format of the IPL, a maximum of four overseas players will be allowed in the playing XI. Despite the okay from BCCI and Committee of Administrators the delay over the final approval over the women’s games is due to the waiting game over the IPL schedule. The schedule is yet to be released and is subject to approval by Election Commission of India with the General Elections to be conducted at the same time. Once the schedule is finalised, the organisers can go ahead on deciding how many women’s games and the players required. During IPL 2019, the one-off Women’s T20 Challenge in Mumbai was played prior to the IPL Qualifier and comprised two teams – IPL Supernovas and IPL Trailblazers. 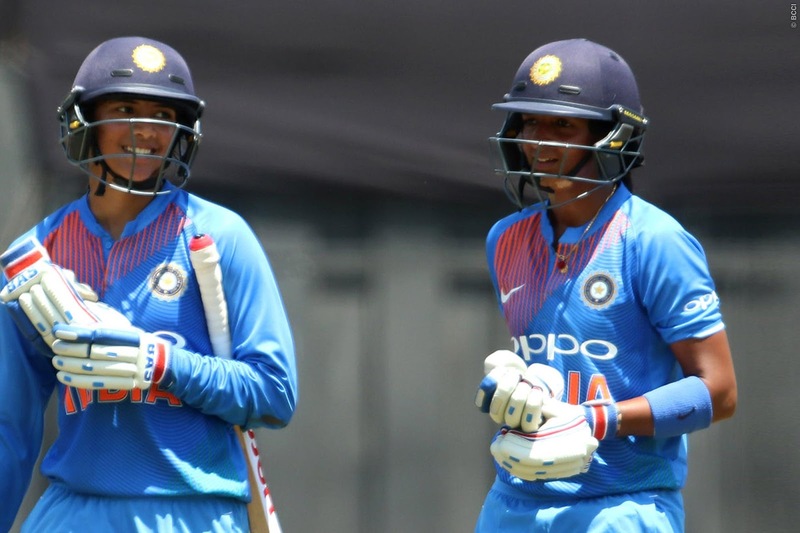 Harmanpreet Kaur captained the Supernovas with Smriti Mandhana leading the Trailblazers. The fixture was conducted as a means to test waters over the feasibility of starting an IPL-style women’s T20 league following the success and popularity of the India women team after the World Cup. The 2 PM start didn’t get the desired crowd presence despite being telecast live by host broadcaster Star Sports.